The recently-passed Every Student Succeeds Act (ESSA) is a historic piece of education legislation for school libraries because it is the first time in over five decades that school library programs have been explicitly granted eligibility for federal education dollars. Woo hoo! When can you expect your check in the mail? Not all school library programs are effective. At some point in the not-too-distant future, someone–you, your principal, your superintendent, or a state legislative committee–will look at your library program and determine whether or not your program is “effective.” Many states, as well as AASL, have recently drafted or are in the process of creating extensive standards and rubrics and aligning them to current educational needs and practices in order to help schools and districts assess their school library programs. Your state or district may or may not have a well-defined evaluation tool for library programs. You may or may not have had any input into the creation or use of these tools. But just because your state or district has yet to consider criteria surrounding the “effectiveness” of school library programs doesn’t mean you should wait for one. And when that definition does come, it’s not going to be enough to be effective; others need to be able to see it right away. Here are some tips for starting the conversation around effective libraries. Start with self-assessment. Go over your school and district mission and goals. Seek out the intersections between these goals and what is happening in your library. What are the key programs and services you provide that directly support these goals? Can you provide evidence that your programs are helping meet them? Is anything you’re doing working at cross purposes to building, state, or district goals? If this has been standard practice in your library, step it up. 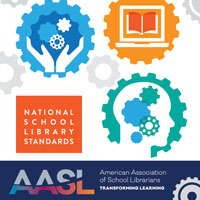 Even if you don’t actually plan to apply, look over the award criteria for AASL’s National School Library Program of the Year–each section is aligned with specific language in Empowering Learners: Guidelines for School Library Programs. Many people find that just going through the process helps to articulate exactly what is powerful about their library program and outline steps to improve their impact. Talk to others. Get input. Find out what they think. Does your community see the library as something that is actively contributing to student success? How much do they know about what is actually happening in the library? Counterintuitive as it may seem, we often have to work against the very generalized goodwill people hold for libraries. There’s often an assumption that they are overwhelmingly good and positive institutions, but those warm fuzzy feelings aren’t always accompanied by specifics. If the answer to “is your school library program effective?” is “we love the library,” that may be nice to hear but it could underscore a lack of understanding about what library programs do for student learning. Develop or refine your library’s advocacy plan. 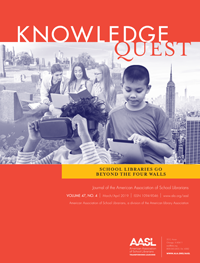 Find and address the most egregious gaps in your community’s understanding of “effective” school library programs. If you have an advocacy, marketing, or outreach plan in place, ask yourself whether it addresses these areas of need, and draft them in if necessary. If you do not have one, now is the time to start. 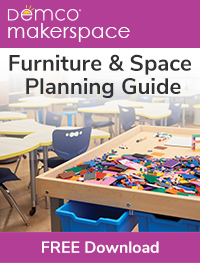 Begin by specifically addressing segments of your community with the least-developed sense of what effectiveness looks like in your school library. Don’t assume people understand the scope of their school library program. Many people, even teachers and administrators, don’t have a complete understanding of what their school library program does. Don’t limit your work to the library community. Communicating your vision of effective libraries is an external process, not an internal one. Don’t waste time developing a fully articulated definition before getting started. The vague language of the ESSA leaves definition of “effective school library programs” up to states to develop. This will happen, and it will be bigger than just you. Don’t ignore key players–politicians, your state Department of Education, legislative committees, and other movers and shakers who may not be directly involved in libraries. Finally, don’t underestimate the power of leading by example. You may have little to no role in preparing to implement ESSA legislation in your state or district. Remember, though, that influence is different from, and often more far-reaching than, power. By working to shape the dialog ahead of the conversation you can still impact the outcome and ensure that, however your state or locality defines effectiveness, your library is an effective one.